Glossop Awnings is an integral part of Glossop Caravans. Glossop Awnings is a successful family run business which has over 35 years experience in the caravan industry. 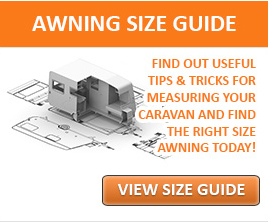 Over the years we have developed our business to represent the best selection of caravan awning manufacturers. Our showroom boasts a large display of different styles and sizes in caravan awnings, suitable for caravans and motorhomes. We have many loyal customers who return to us year after year for all their caravan awning needs! We also supply a range of camping furniture and carpets with caravan customers in mind! So you can get everything you need in one place! Glossop Awnings showroom is open to the general public 7 days a week.